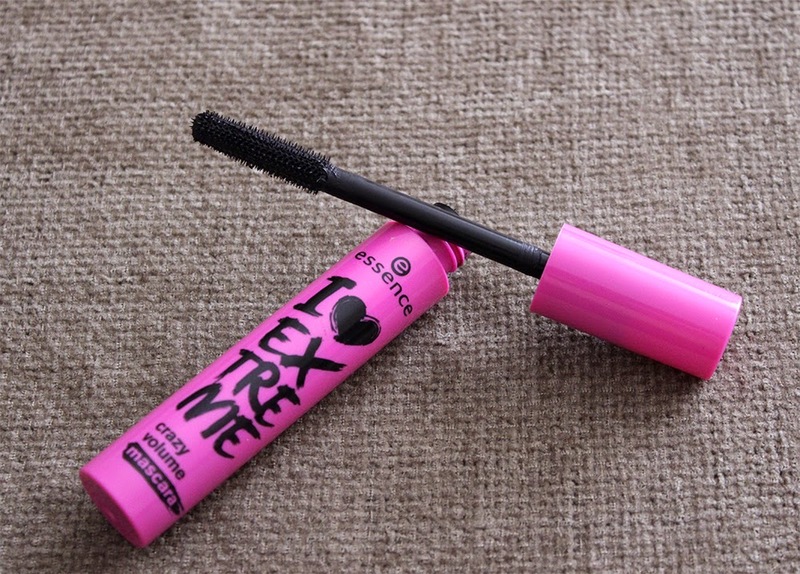 Carousel Coral: Essence I Love Extreme Crazy Volume Mascara Review. 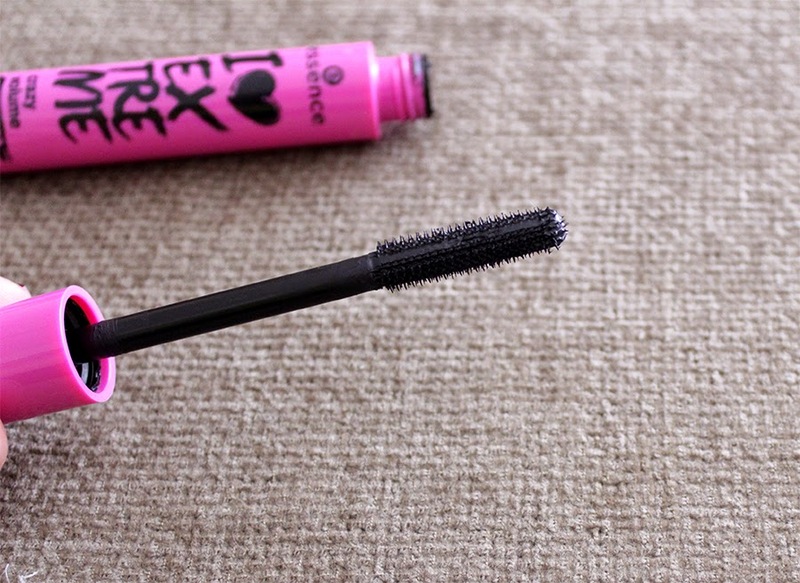 Essence I Love Extreme Crazy Volume Mascara Review. Hello my lovelies! I'm back with yet another mascara review, I've been trying lots of new mascaras lately and I want to write reviews for all of them before Christmas time if that's possible. 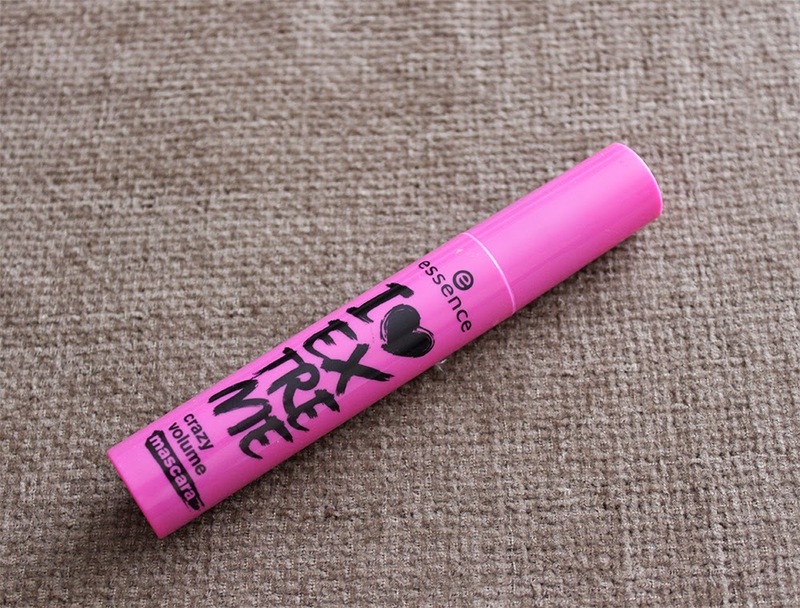 This review is about the most famous mascara from Essence, the I Love Extreme Crazy Volume Mascara which I'm sure lots of you have already used and love. But does it worth all the hype? Let's find out! If you're not already familiar with this mascara, it has a really big/bulky plastic wand, in fact it's too big for my eyes that the first time I used it I actually poked my eye really bad, my eye was watering for a whole day, but I've learned my lesson, this mascara needs time and patience. It has lots of really small plastic bristles, I thought that they would help seperate my lashes well but they're not, I would prefer if they could be a little longer so they'd grab my lashes better. Now about the formula, I find the formula extremely dry, I though that this would be a a very wet mascara but I was so surprised when I first tried it, boy it was so hard to apply it! I don't know if that's the case with this mascara in general or is just my tube, let me know if you had the same problem as me. As I mentioned before, the formula is quite dry so it was kind of hard to work it on my lashes, also the really small bristles makes the whole application even harder. I need to coat my lashes with the brush many times so I can seperate them as much as possible, but the truth is that this mascara clumps! I thought that my previous mascara from Seventeen "The Stylist" clumped, but I was way too wrong, this one clumps way more. Besides all these problems the results are really dramatic, it gives lots of length and volume, it holds a curl for hours and doesn't smudge. So if you love dramatic lashes and in the same time don't mind them look clumpy, you will be very pleased with this one. It's such a cheap mascara, it costs only 3.5 euros, and let's be honest, you can't beat this price! In Greece you can find it at any store that sells Essence cosmetics, such as Hondos Center, Gallerie De Beaute etc. 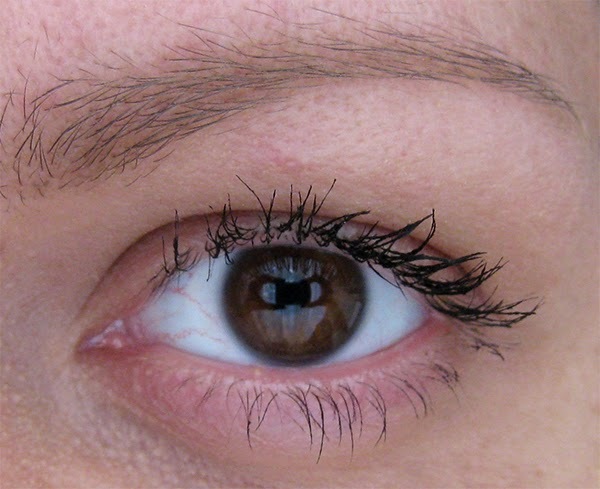 -It gives a dramatic look to lashes, adds length and volume. -It holds a curl for hours. -The price is a huge plus, it costs only 3.5 euros! -The wand is too big if you have small eyes, and you can easily poke your eye with it. -It has a very dry formula which makes it hard to work it on the lashes. -Besides the dramatic look it gives to the lashes, it clumps a lot. I know that many of you absolutely adore this mascara but unfortunately I wasn't impressed, I give it a 7/10 only because of the dramatic look it gives to my lashes and also because it holds a curl. I find the formula really bad and very hard to work with, it doesn't compare at all with the Essence Get Big Lashes Waterproof mascara which I really liked. But I really want to know what's your experience with this mascara, did you like it or not? Let me know!